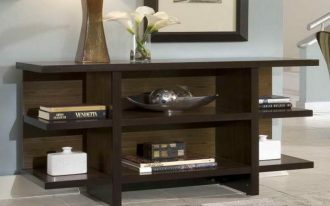 Adding a wall bookshelf for your living room to make it look more modern is easy enough. 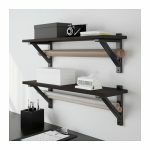 Various styles of wall shelf are available, especially at IKEA. 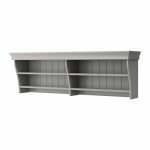 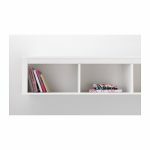 Some of simple yet modern IKEA wall bookshelf are EKBY LERBERG, EKBY HENSVIK, EKBY BJARNUM, IKEA PS 2014 and LACK Wall Shelf Unit. 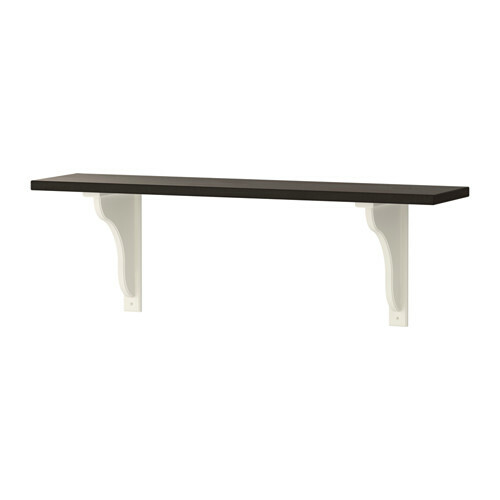 The main part of EKBY LERBERG is made of ABS plastic, particleboard, melamine foil, and acrylic paint. 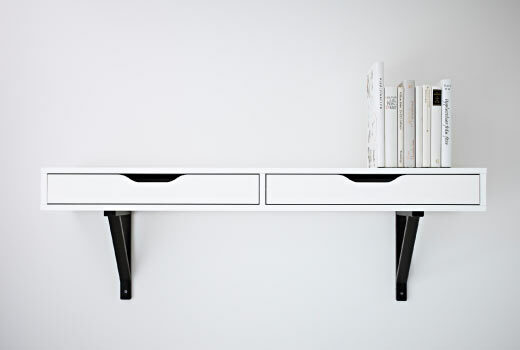 Whereas, the back panel and the drawer bottom is fiberboard. 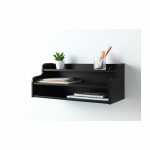 It is a wall shelf with drawer for functionality. As for the EKBY HENSVIK, the shelf is made of solid pine, stain and clear acrylic lacquer. 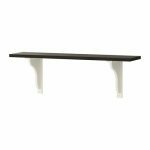 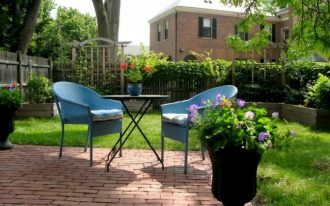 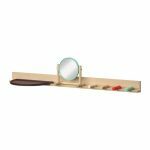 The solid wood is a durable natural material with a fiberboard and acrylic painted bracket. 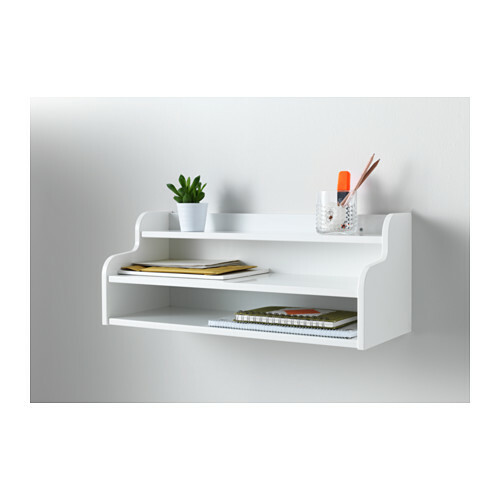 Other IKEA wall bookshelf is EKBY BJARNUM in which the bracket covers the edge of the shelf. 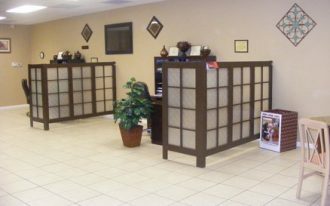 You can keep the shelves in place because of its partitioning wall inside. 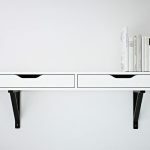 The connecting bracket is made of aluminum and nickel plated, while the shelf is particleboard and acrylic paint. For the IKEA PS 2014, it is a wall rail with shelf, mirror, and four knobs. 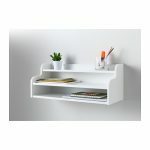 The shelf is made of fiberboard and acrylic paint, while the wall rail is made of solid birch and clear acrylic lacquer. 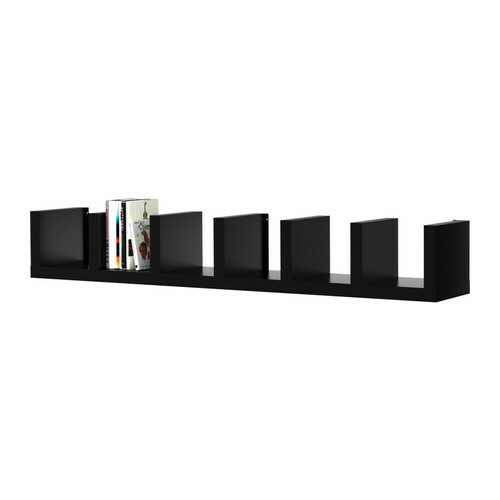 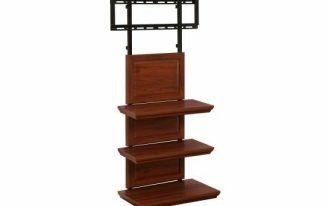 Another product is the LACK wall shelf unit. 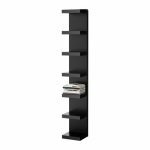 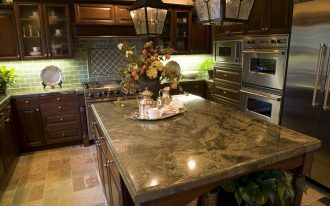 It has 190 cm of height, 28 cm of depth, and 30 cm of width. 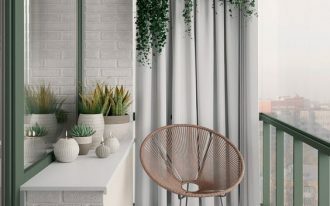 You can place it horizontally or vertically against the wall or just hang it. The colors available are black and white. 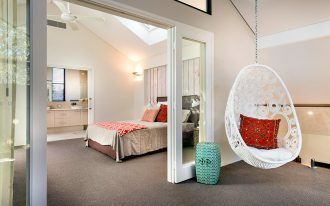 Besides, the design is simple yet suitable for modern setting room.